Now is the perfect time to take advantage of the warmer weather and extra hours of daylight by putting on those joggers and heading outside for a walk. The motion of walking also helps to rehydrate spinal discs. Through everyday movement, the pressure on our spinal discs causes the squeezing out of the discs water, and walking helps to allow for a higher flow of circulation, resulting in increased circulation of water to the discs. Continual walking helps create circulation to the spine. The increased blood flow helps bring the body into balance increasing and improving stamina and even lowering blood pressure! Combined with a healthy diet and lifestyle, walking can assist with weight loss. Through losing weight, additional pressure on the spine and muscles becomes reduced. A great way to get social! Why not grab some friends and create a regular walking date? Having a consistent time reserved for walking with others is a great way to stay motivated, have a laugh and get fit all at the same time. 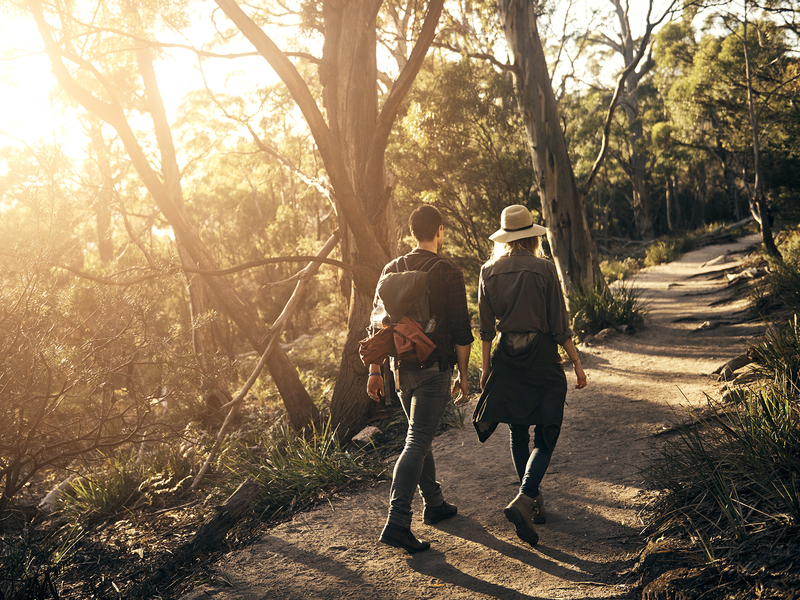 Not only is walking a great way to get active and improve both your mental and physical wellbeing, it is also a simple way that you can look after your spinal health. Join the Just Start Walking community by downloading the Just Start Walking app. Track your progress, find walking routes and join local walking events.